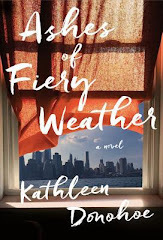 For twenty-five years, a solitary American novelist has been writing at the desk she inherited from a young poet who disappeared at the hands of Pinochet's secret police; one day a girl claiming to be his daughter arrives to take it away, sending her life reeling. Across the ocean in London, a man discovers a terrifying secret about his wife of almost fifty years. In Jerusalem, an antiques dealer is slowly reassembling his father's Budapest study, plundered by the Nazis in 1944. These worlds are anchored by a desk of enormous dimension and many drawers that exerts a power over those who possess it or give it away. In the minds of those it has belonged to, the desk comes to stand for all that has disappeared in the chaos of the world-children, parents, whole peoples and civilizations. While I'm not a fan of the cover, this one does sound really interesting. Great pick! This doesn't sound like the type of book I usually read, but I have been surprised and this does sound like it has a lot of historical intrigue. Hi Jill! I never know this author but the book sounds great! That sounds really good. I'm putting it on my wishlist! I'll be watching for reviews on this book. No WoW for me again this week. The cover is not too interesting, but the description itself sounds like a good book. I'm a history buff, so it sounds like I would like this book. I'm waiting on this one as well! 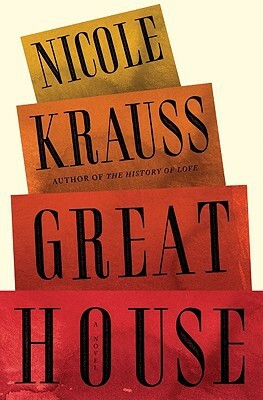 Great House sounds like something I would like to read, great find. Ooh, that one sounds really good! I love stories about the past and the mysterious connections between the characters. Fabulous choice. I really want this one as well! i really like the cover!! Sounds intriguing. Thanks for pointing it out! I've wanted to participate for a while and after seeing an article on this book this morning, I sought out your blog. Lo and behold, we are waiting on the same book. I love the cover and cannot wait to see what this latest tale is like. Thanks for hosting. I'm not sure if I'd read it but it does sound interesting. I've been hearing a lot of good things about this author and this book! The whole premise is haunting and intriguing. Great pick! Her second book, History of Love, was so amazing. I've been holding my breath for this one since 2005. Weekend Cooking: FOUR New Southern Cookbooks!